It was late 2009. Damon Bell, Minal Gulabdas and Tadeusz (Tadek) Ptak had a plan. By Jan 2010 we had agreed on our company name, after Tadek had a eureka moment while watching the Australian Tennis Open. Novak Djokovic was hitting the ball perfectly in the sweet spot of his tennis racquet. 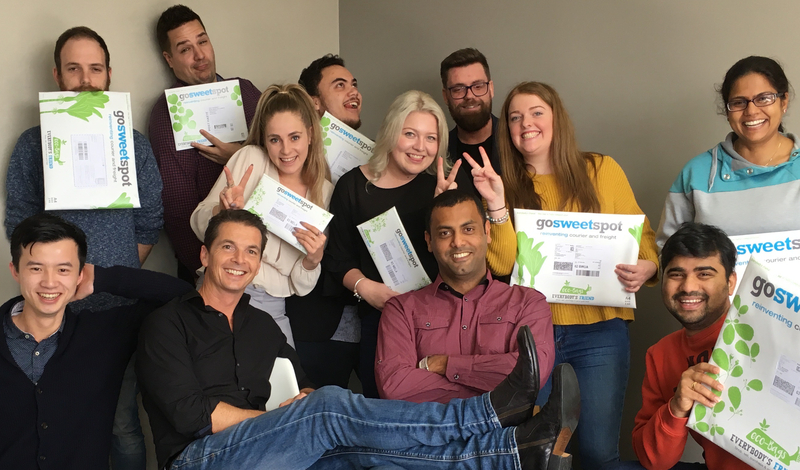 In conjunction with the freight management software that we developed and securing strong relationships with carefully selected domestic & international courier and freight providers, GoSweetSpot was formed. It was now early 2010, and what our Co-Founding Directors - Damon, Minal, and Tadek needed now, was their first client. Within a week we had secured a client and we were on our way! GoSweetSpot has grown from a band of mates working from home, to become New Zealand’s Number One courier and freight aggregator, making light work of shipping for over 3,000 NZ businesses. Our business is all about introducing time and effort efficiencies plus cost savings and visibility for you and your business. We are thrilled by the feedback we’re constantly receiving from our clients about the results and benefits to their business from them utilising us. This inspires and motivates us on a daily basis to look for new improvements and services for our clients. GoSweetSpot is a 100% New Zealand owned and managed company.